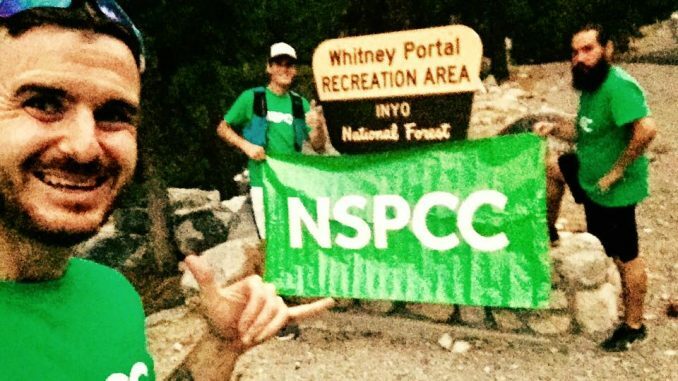 Ultrarunner Rhys Jenkins From Penarth, has just completed his bid to run 135 miles through Death Valley in California, renowned for its extreme temperatures, in aid of the NSPCC (JustGiving) today. 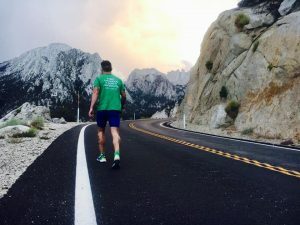 Rhys Jenkins, 29, is no stranger to endurance running and ultramarathons having run around the coast of Wales and completed 100 miles in 24 hours. Home to one of the most famous ultras, the Badwater 135, the distance requires a crew to provide support for runners round the clock in intense conditions where average July temperatures of 47° can rise to 130 °F (54 °C).